Anaheim Automation offers a variety of accessories for your Servo System. 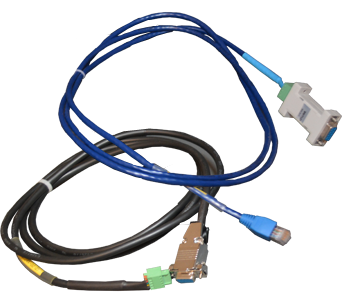 Replacement cables include encoder, power, and communication cables for use with the PRONET-E, EDC, and FD AC Servo Drives. Control cables are also available in addition to a 50-pin break out board, allowing for easier testing. A Handheld Controller can be purchased for your EDC Servo Drive, giving you additional control and flexibility. If you have questions regarding these accessories and their compatibility with your Servo System, contact an Anaheim Automation Applications Engineer.